This recipe is for 4 servings with a net carb count of 6 carbs per serving. I like to use a technique called “flash frying” when making deep fried dishes. By cooking the chicken prior to coating it you only need to fry it for 30 to 60 seconds instead of 6 to 8 minutes. The chicken absorbs much less oil and yet tastes just as crispy and delicious as if you deep fried it in the traditional way. I know, I know, we’re not counting calories or fat grams when low-carbing, but it doesn’t hurt to go for healthier eating when you can. BTW – the carbs are figured as best as possible, although it’s really impossible to determine exactly how much buttermilk and how much flour will cling to your chicken. Just to be on the safe side, I’ve slightly overestimated the carbs. Heat the chicken broth with 1 teaspoon salt in a medium pot over high heat. Add the chicken tenders and bring the broth to a simmer. Cover, reduce heat to low. Simmer until the chicken is thoroughly cooked, about 30 minutes. Pour oil into a large pot and heat to 400 degrees F.
Line a baking pan with paper towels. Set a wired rack (such as the kind you use for cooling baked goods) on top of the paper towels. Combine flour, Creole seasoning and 1 teaspoon salt in a shallow dish. Warm the buttermilk just enough to take the chill off and pour into a large bowl. Once chicken is cooked remove from liquid, pat dry and place into buttermilk bowl. Remove chicken from buttermilk and dredge in flour mixture. Dip in buttermilk and dredge again in flour mixture. This will give you a nice thick coating that your family will thank you for. Fry several chicken pieces at a time, turning at least once with tongs, until deep golden brown, about 30 to 60 seconds for each batch. Place chicken on the wire rack as you remove it from the fryer. Choose an oil that’s low in saturated fat such as grape seed, peanut, or soybean oil. Watch your oil temperature carefully. Clip a fry thermometer to the side of the pan so you can keep the temperature consistent. If it’s not hot enough, your food will soak up lots of extra oil that isn’t necessary to make it either crispy or delicious. If it’s too hot it will move very quickly from just right to burned and inedible. In the book I’ll be including a recipe for “Nutty Lemon Rice” which utilizes a simple technique to use cauliflower in place of rice but you can serve green beans sautéed over medium heat in garlic and extra-virgin olive oil. 10 four-inch long beans will add 2 carbs to this meal’s carb count and one 1 Minute Muffin per person which will add #carbs to the meal. So if you make this meal as posted here you’ll have a total net carb count of # per person. I came up with this meal when I was planning to have a few people over to put up Christmas decorations. I didn’t want to have the meal preparation and cleanup take up the evening and since I was leaving town a few days afterwards I wanted to use up the food I already had on hand – i.e. this was a clean out the fridge kind of meal. I especially love this meal because the clean up is super easy. Since I already had cooked chicken on hand I needed a substitute for the pasta which cannelloni is traditionally made with. I had lots of zucchini which became the obvious substitute, although 2 eggplants sliced lengthwise would have worked just as well and given me larger cannelloni. You can make this dish without the ricotta, egg, and/or Parmesan which are the traditional base for cannelloni and it will be delicious – it just won’t be cannelloni. The wine gives the white sauce a distinctive wine flavor, so if you don’t think that would suit you just use vegetable broth instead. You can make the zucchini “pasta”, white sauce, red sauce, and the filling two to three day sbefore. You can make the salad dressing two to three days before. I often double up on the white sauce recipe to save time throughout the week when I use it to dress pasta, drizzle over veggies, to make a gratin, or anything else you can think of that would benefit from a creamy, cheesy addition. Note: this meal serves 8. 1 cup grated Parmesan cheese, if you don’t have any Parmesan you can use mozzarella or Provolone instead. 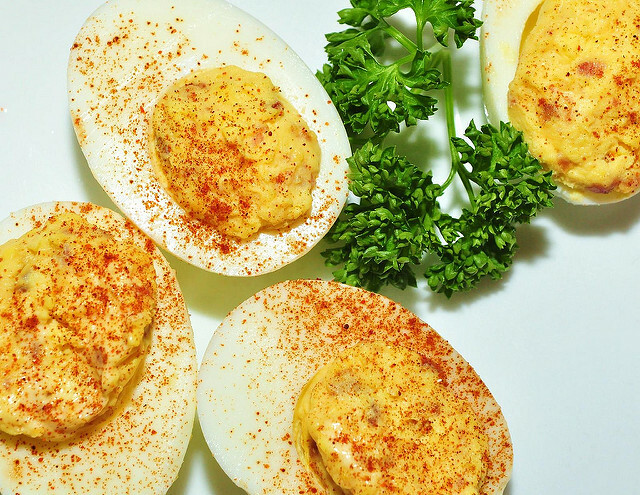 If you have an egg go ahead and add it to the filling, otherwise don’t worry about it. 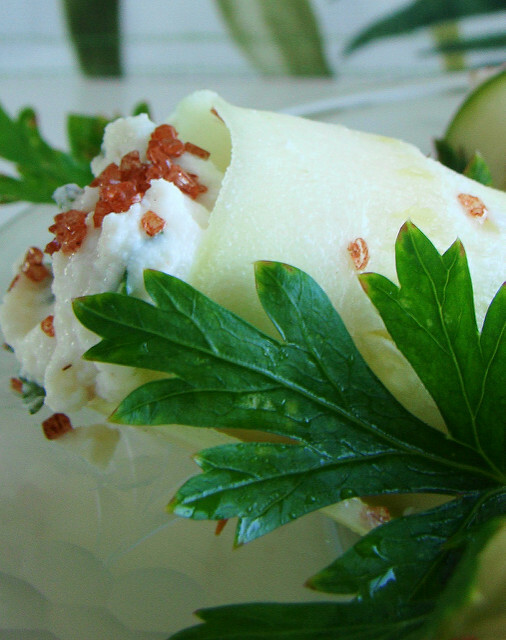 Slice zucchini lengthwise into 1/4-inch thick slices. Place on lightly oiled baking sheets. Bake for 5 minutes until zucchini is just soft enough to roll without breaking. Melt butter in a l-quart saucepan over medium heat. Stir in soy flour and continue stirring using the spoon to break up any clumps. After about 5 minutes the flour should be a very light brown and smell slightly nutty. Whisk in white wine or vegetable broth, heavy cream, nutmeg, and sea salt. Bring to a low boil and cook, whisking often for about 10 minutes or until thickened. This sauce is very versatile. I ran out of nutmeg once and used allspice instead, another time I used dried basil, and the sauce turned out great each time. Finely chop onion. Place it in a large microwavable bowl. Add a small amount of water and cook in microwave until al dente. Remove from microwave and add the ground meat, spinach, ricotta, Parmesan, egg and 1/2 cup of the white sauce. Mix filling ingredients until well blended. Taste and add extra seasoning if needed. The recipe below is just enough for the cannelloni, however I always double this recipe and freeze it or serve over pasta later in the week. Puree peppers with garlic, basil, sea salt & black pepper to taste. Stir in heavy cream. Spoon red sauce onto individual plates, top with cannelloni. Ladle enough white sauce into a 13″ x “9-inch baking pan to lightly cover the bottom. Top each zucchini slice with about a tablespoon of filling. Roll up and place on top of sauce. Lightly drizzle top of zucchini rolls with the rest of the sauce. Sprinkle 1/4 – 1/2 cup Parmesan on top of sauce. Cover and bake 30 minutes if filling and white sauce were prepared ahead and are cold, 15 minutes if these ingredients are precooked. Uncover and bake 10 minutes longer or until cheese just begins to brown. After removing baking pan from oven turn heat up to 500 degrees. I’ve given you precise measurements, but I never measure when making salad dressing. The measurements simply serve to give you an idea of how much of each ingredient you need. Puree, then drizzle in 1/4 cup extra-virgin olive oil. Thinly slice mozzarella or Parmesan cheese, then cut slices into 1 inch squares. Place cheese squares onto a baking sheet lined with parchment paper. Bake until cheese rounds are browned about 5 to 7 minutes. Pick up parchment paper and carefully move entire thing with cheese crisps to a wire rack, stone counter or cutting board to cool. Toss Romaine lettuce with dressing to lightly coat. Top with cooled cheese crisps. Snap woody ends off asparagus. Toss with extra-virgin olive oil, season with sea salt. Roast in oven at 400 degrees F on the same baking sheet that you used for the cheese crisps. Roast for 25 minutes until browned and tender. If you want to serve dessert these nuts are a good finger food which can be munched on while moving about the house putting up Christmas decorations. Serve these nuts with coffee and whipped cream. All of the optional ingredients go well together so you can use one or all or none of them. Stir in nuts until well coated. Spread onto 2 lightly buttered baking sheets. Bake 25-30 minutes, stirring once, until nuts are slightly darker in color. When completely cool, break into pieces. With my leftover red sauce I came up with this melt in your mouth dish which I served for dinner the next day. Peel and slice eggplant into 1/4-inch thick rounds. Place eggplant in a lightly oiled hot pan over medium high heat and season lightly with sea salt and pepper. When eggplant is browned, turn, and continue cooking. When the tines of a fork sink through the eggplant as easily as if it were butter it’s done. Line the bottom of a baking pan with one layer of eggplant slices. Cover eggplant with shredded mozzarella. Cover cheese with another layer of eggplant, a layer of cheese, a layer of eggplant, pasta sauce. Bake in 350 degree oven for 10-15 minutes until cheese is melted. Serve with a green salad and Caesar dressing, which you most likely have lots of from last night’s dinner. Saute the eggplant slices. Cool. Lay a piece of saran wrap on your kitchen counter. Place an eggplant slice in the center of the wrap. Tear a piece of mozzarella or provolone in half and lay each half on a slant over eggplant so that the surface of the eggplant is well covered. Top with another eggplant slice, then cheese, then eggplant. Tightly wrap saran around sandwich. Repeat until all your sandwiches are prepared, then place each wrapped sandwich into a freezer bag, label and freeze. Reheat in oven or microwave, top with Red Cream Sauce. Make a thin omelet using a cooked eggplant slice and cheese for the filling. Top with warmed pasta sauce. If you still have Red Cream Sauce left then add some vegetable broth, taste and add sea salt and/or pepper if needed. Tastes like you spent hours at the stove! Isn’t it nice to cook once and end up with two or three meals? Holy Cauliflower Batman Is That Really A Wrap? OMGosh! If you’ve been looking for a low calorie, gluten free, low carb, high protein, properly combined wrap solution then this is your lucky day. Cauliflower is truly the Batman of the vegetable world! I stumbled on this recipe on Lauren’s blog yesterday and have been thinking about it ever since. It bothered me that the wraps were so delicate that you have to be careful of what you wrapped in them and I think I’ve come up with a solution. Lay the wrap on your work surface, lay a large lettuce wrap on top of the wrap, then pile on your filling, roll and eat. The lettuce leaf should work to keep the other ingredients from poking through. A piece of very thinly sliced meat would work as well, although I think that the lettuce would actually be sturdier. I’m traveling right now and can’t try this out but if anyone has the opportunity to do so, I’d love to hear if it worked or not. Whenever I’m planning a party I make sure to include low carb, Paleo, gluten-free, and sugar-free options, not only for myself, but nowadays there are always several people in the crowd that have dietary restrictions. To let people know what foods are “safe” for them to eat I use chalkboard mats or chalkboard picks to write the name of the dish and beneath the name I’ll write “low carb”, or “gluten-free”, and so on. Cream butter until soft and fluffy. Use a pastry cutter, fork or two butter knives to cut in remaining ingredients. The batter should look like coarse cornmeal. On a very lightly floured board form the dough into two long, thin rolls, 1 to 1-1/2 inches in diameter. Wrap each roll in plastic wrap or foil and chill until firm, one to two hours. They can be stored in the fridge or frozen until ready to bake. When you’re ready to bake, preheat the oven to 350 degrees. Cut each roll into slices about 1/4-inch thick. Place the slices, edges not touching, on ungreased baking sheets and bake for 5 – 10 minutes until brown around the edges and a toothpick inserted in the middle comes out clean. Serve immediately, or let cool; storing in an airtight container. Blend all ingredients with a fork. You can use any herb in place of the parsley, and I encourage you to do so. Whichever herb you choose will completely change this spread. This is such a simple and versatile spread that I’m not going to give an exact recipe but rather the basic ingredients and let you go to it on your own. Use a fork to mix equal amounts of cream cheese or mascarpone cheese and pesto. That’s it! 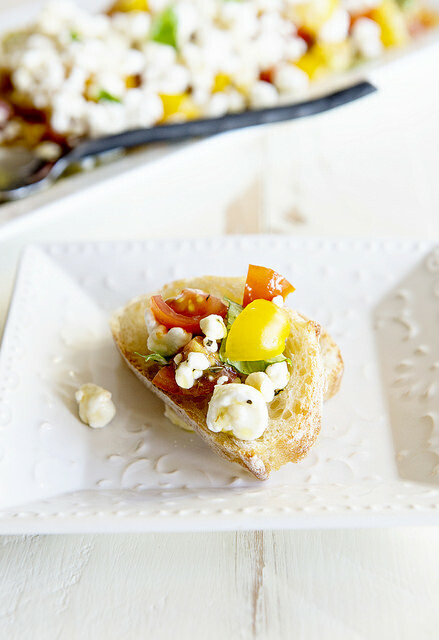 Serve with veggies, toasted protein bread and crackers or mini-toasts for guests who aren’t low carbing it. You can substitute cooked ground beef, pork or turkey for the cheese or even go half and half. jarred grape leaves: Middle Eastern markets carry bottled leaves with no preservatives. These taste better than the supermarket ones with the acid preservative. Saute onion and garlic in 1 tablespoon peanut, walnut or sesame oil until onion is translucent. Add spinach, black pepper, nutmeg and sea salt and continue sauteeing until onion is tender. Remove from heat and stir in cheese or meat. Gently remove grape leaves from the jar, rinse and drain in a colander. Lay on towels to absorb excess water. Lay the leaves out on a work surface. Cut and discard any long stems. Place 1-2 tablespoons of filling in the center of each leaf. Fold bottom and top of leaf over filling. Fold left leaf over filling and roll. Arrange in single layer rows in a baking dish, seam side down. Cover and bake for 45 minutes. These taste much better when you make them 1 to 4 days ahead. Serve cold or at room temperature. Preheat oven to 350°F. Remove stems and gills from mushrooms. Set stems aside to use in another dish or on a salad. Place mushroom caps in an oiled baking dish. Bake for 7 minutes. Remove from oven. While mushrooms are baking, mix cooked sausage and cheeses together. Fill each mushroom with 1 teaspoon of stuffing mixture. Return mushrooms to oven stuffed side up. Bake for 7 minutes. Use 3 medium zucchini in place of the mushrooms. Cut zucchini in half lengthwise. Scoop out the pulp, leaving a ¼-inch thick shell. Toss the pulp or chop and use in a salad. Place zucchini, cut side up on a parchment lined baking sheet. Sprinkle 1/8 teaspoon each salt and black pepper over all three zucchini. Turn cut side down and bake for 7 minutes or until just short of al dente. Fill with stuffing mixture and bake for another 7 minutes. If you have shaped bread tins a party is a great time to use them for this bread. You’ll need two shaped tins, one bread loaf pan and two mini loaf pans. For a party I think it’s nicer to use either the shaped tins or mini loaf pans. Sprinkle broccoli and onion with a small pinch of salt and steam until just tender. In a large bowl beat butter at medium speed until smooth and fluffy. Add eggs one at a time, beating each time until mixture is almost smooth. In a medium bowl combine the soy flour, orange peel, lemon peel, baking powder, salt and pepper. Add dry mixture 1/4 cup at a time to egg mixture, stirring to roughly blend each time. Stir in vegetables and ham. Spoon batter into pan(s). Smooth top of batter. Bake 40 to 45 minutes, until a tester inserted in center comes out clean. If using bread tins cook 1 hour, turning every 15 minutes. When tester shows no raw dough remove from oven. Let sit 10 minutes then carefully remove from pan(s). Cool before slicing. Arrange slices on lettuce lined plate or tray. Spread gourmet mustard on thinly sliced roast beef, ham, corned beef and/or pastrami. Roll up and secure with a toothpick. Set out plates of different types of olives, cheese cubes, and crudites. Here’s a page from my upcoming cookbook “3 Ingredient Low Carb Recipes” (title still under construction – any suggestions?). Even if you or your guests aren’t eating low carb these recipes will wow them. A note about 3 ingredient recipes. I don’t count salt, pepper, oil or the title ingredient. For instance if it’s a lamb chop recipe, it’s a given that you’ll have a lamb chop, salt and pepper and maybe oil in the pan. Even so, I’ve still kept the recipes as simple as possible. The carb counts for these recipes are calculated based on net carbs (total carbs minus fiber). You can easily multiply this recipe to serve as many as you like. If you choose to use fresh herbs in place of the dried coriander then use 2 teaspoons, finely chopped. Rub both sides of chops with coriander. If you can let the lamb sit with the coriander rub for 2 or 3 hours, great, otherwise proceed by seasoning with salt and pepper. Grill, broil or sauté in oiled pan over high heat for 3 to 4 minutes per side for medium rare. Serve with Lemon Sour Cream Sauce if desired – don’t forget to add the carbs for the sauce. I love this sauce because it’s so versatile. You can drizzle it over ham, fish, asparagus, green beans … It’s also a good veggie dip or salad dressing. In a small bowl mix all ingredients. Spoon ¼ cup sauce (1 serving) over Coriander Lamb Chops. Remaining sauce keeps well in the fridge to use as a salad dressing or dip. Steam or microwave cauliflower until it’s so soft that it falls apart when poked with a fork, about 6 minutes. Pat dry with a towel to remove as much moisture as possible. Puree cauliflower with remaining ingredients. Taste and adjust seasoning, butter, and sour cream so that you end up with a rich tasting dish that NO ONE will believe is not really mashed potatoes. Toss lettuce with dressing together. Garnish with olives and herbs. I thought I’d treat you all to a sneak peek from one of my upcoming books from the “2 Weeks On …” series. This book “2 Weeks on Low Carb Phase 2” will contain 14 days worth of menus and recipes including beverages, snacks and desserts. This is a recipe for our low-carb readers, but if you’re not low-carbing it you can certainly serve these burgers on whole wheat buns. If you’re making dinner for your family or a barbecue you can make this recipe up on buns for everybody else and skip the bun for yourself, or go the lettuce wrap route. Beat eggs, water, cream, salt and pepper in a small bowl until blended. Heat butter in a small skillet over medium heat until hot. Pour in eggs. As eggs begin to set, push the cooked eggs from the edges into the center and tilt the pan so that the uncooked egg runs to the outside edges. Continue cooking, lifting and tilting eggs until no liquid egg remains. Remove from heat. Place burgers on microwave-safe plate. Top each burger with a quarter portion of eggs, then with a slice of cheese. Top with your choice of condiments.